We are in the midst of a counterrevolution and intensifying class war. What makes its present efflorescence so striking is that it is taking place under the presidency of Barack Obama, a man elected in good measure by an aroused mass base that is now taking its lumps. The power structure no longer permits serious attention to the welfare of that mass base. The great upward redistribution of income, the increased importance of money in elections, the centralization of corporate and media control and the media's rightward drift, globalization, outsourcing, the weakening of organized labor, and the permanent war system, have all combined to effectively eliminate a "populist" option in politics. The Democrats invariably betray their voting base, but not their investor base. This is dramatically evident in polls, which regularly show that the majority doesn't approve of the serial wars in which the leadership's engage (including the attack on Libya), would prefer more infrastructure and educational expenditures and smaller "defense" outlays, are more worried about jobs than the deficit, and do not favor slashing Medicare, Medicaid, and Social Security. The mainstream media, as part of the elite, play down or misrepresent these poll results, which occur despite a propaganda barrage by this same media that supports the permanent war system and other essential ingredients of the counterrevolution. The media certainly do not allow the poll-expressed preferences to influence their news coverage, by, for example, featuring more heavily the politics of procurement, military waste, or the relative administrative costs of Medicare and private medical insurance. "National security" outlays are normalized, discussions of tradeoffs minimized. Years ago the New York Times had annual op-ed columns which would graphically describe what the tax dollars for a new fleet of bombers, fighters, helicopter gunships, or another atomic submarine or aircraft carrier would buy in schools, teachers, bridges, and roads. But that was apparently too revealing and was long since discontinued and never replaced. It is also of interest to see how closely the threat of "deficits" is correlated with the threat of "populism," i.e., a concern for the well-being of ordinary citizens. This deficit threat quickly leaps to prominence when a Democrat assumes the presidency, however modest that populist threat might really be. Carter, Clinton, and now Obama have found outcries of menacing fiscal deficits and national bankruptcy ever present during their terms of office, while a Reagan or George W. Bush can greatly enlarge the deficit and national debt with only modest expressions of concern by important people, and with no Tea Parties organized to urge fiscal sanity (among other matters). The mainstream media do not discuss or explain this differential treatment—it just happens, with their close cooperation. In fact, the media give the Tea Party very disproportionate as well as uncritical attention, whether out of sympathy or fear of being tagged "liberal media" (very often both). Word usage more generally accommodates to counterrevolutionary and class warfare demands. The key word "entitlement" has come to mean claims of ordinary citizens and "special interests" (usually some segment of the general population like unions or the aged), with the implication that these claims are somehow undeserved, or excessive, and involve favoritism toward the old at the expense of the young. The wealthy and the leaders of the military-industrial complex do not get their tax breaks, subsidies, and contracts as "entitlements," nor do they get "handouts" or "doles." They get taxpayer dollars as incentives and rewards for services rendered and/or possible productive flows and trickles-down to the lesser citizens. Military budgets are, of course, for "national security. "The link between "entitlements" and "populism" is clear—both involve benefits to the majority and are in consequence targets in counterrevolution and class warfare. 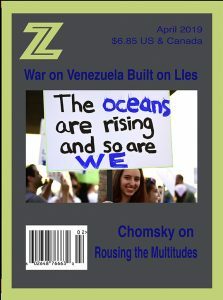 "Moderates" and "centrists" see the light and are prepared to chop away at these entitlements, while protecting elite claims against those who seem bent on a "class war," or who are insensitive to our "national security" needs that continue to enlarge on all continents and bodies of water (including the Baltic and Black Seas). The mainstream media love moderates and centrists so these are "purr" words, as opposed to "snarl" words like entitlements and populism. It is a notable and humorous fact that the media regularly admonish the Democrats to move to the center whenever the latter suffer election setbacks. The Democrats may have already done so with a vengeance and lost heavily and polls may show the public preferring populist policies and peace and reduced arms, but the corporate community and media editors don't prefer them so "Get thee to the center." The centrists and moderates in and out of the media regard Paul Ryan's budget plan as "serious" and "courageous." The centrist-moderates also show themselves to be serious and courageous in treating the Ryan plan with an open mind when it seems that public awareness of its content causes strong negative reactions. Politicians who are prepared (or eager) to push their country into a foreign war are regularly described as courageous, even more so when the polls and unusually large marching crowds indicate that their voting constituency is opposed to the war. Bill Clinton was described as courageous in spending much of his political capital in getting the North American Free Trade Agreement passed into law in 1993, when his Democratic voting constituency and Democratic legislators clearly opposed it and only the corporate community (and mainstream media) favored it. Here again there is a nice correlation between establishment designation with a purr word (courage) and adherence to a corporate-mainstream media party line—getting us into a war; anti-populist and pro-corporate "reforms." The anti-populist, pro-counterrevolution and class war bias of the media has been clearly displayed in their comparative treatments of the Paul Ryan budget plan and the People's Budget offered on April 6 by congresspeople Keith Ellison and Raul Grijalva, co-chairs of the 80-member Congressional Progressive Caucus. Amusingly, the economist Jeffrey Sachs wrote a piece in the Huffington Post on April 8 in which he calls the Ryan plan "far right" and an "absurdly vicious attack on the poor and working class," whereas the People's Budget is "centrist," as on point after point it advocates what polls show to be majority demands and reflects "the true values of the American people" ("The People's Budget: What a 'Centrist' Budget Should Look Like"). Years ago Jeffrey Sachs was famous and popular with the mainstream media as an adviser to various governments (Poland, Bolivia, Russia) and the IMF, as well as an advocate of "structural adjustment" policies. In fact, in 1996, I referred to him as the "neoliberal world's leading shock therapist" ("War Criminals [Economics Division]: The Dirty Twenty," Z Magazine, November 1996). But Sachs subsequently changed into a populist, becoming badly out of step with the establishment moderates and centrists. He is now marginalized with his fellow immoderates and extremists to the left of Barack Obama, who speak for a People's Budget or something even more absurd. Sachs's current budgetary views were mentioned recently in the media only by Dana Milbank in the Washington Post, who notes Sach's claim that the People's Budget is "centrist" and that Obama's is "right of center." This serves Milbank only as a joke and as the basis for a putdown on the impracticality of these extremists, with nary a mention of what the public might want on these matters ("If Progressives Ran the World," WP, April 14, 2011). Apart from Milbank, the Washington Post ignored the People's Budget and the New York Times never even mentioned it as a news item. There was, however, a column by Paul Krugman in the New York Times that did give the People's Budget a strong pat on the back ("Let's Take a Hike," April 24, 2011), but that column stood alone. On the other hand, Paul Ryan's budget plan got massive mainstream media attention and, as noted, in the familiar routine, he was found to be "courageous" (Brooks, Zakaria) and his proposals that Sachs found "absurdly vicious" were "serious" and worthy of attention (see Fair's Media Advisory: "Mr. Serious: the Ryan budget plan and the beltway media," April 14, 2011). Of course, Ryan's budget was put forward by the Republican head of the House Budget Committee and was passed in the House, but it is far from enactment into law and its extremism and huge distance from public interests and preferences makes it even more urgent that it be compared with alternatives like the People's Budget. That is surely what a democratic media would do, but we don't have one. The party line which the mainstream media have internalized, that contributes to the counterrevolutionary process and rules out serious attention to the People's Budget, is displayed in Milbank's piece and Richard W. Stevenson's news article discussion of the budget issues in the New York Times ("The Budget Debate, Revealed," April 17, 2011). For Milbank, the authors of the People's Budget are "starry-eyed progressives," not serious or courageous. Stevenson never mentions the People's Budget. Stevenson also never mentions the Pentagon/national security budget, while Milbank is amused at the audacity and unrealism of the authors of the People's Budget who want to end the wars in Afghanistan and Iraq and substantially reduce the size of U.S. military forces—as does the obviously "irrelevant" underlying population. Milbank is horrified at the thought that the "weapons programs would go begging." Stevenson tells us that the real issue posed by the Ryan budget and Tea-Party-moment Republicans is the size of the government—Ryan's, he says, is "a manifesto for limited government." But Stevenson and the established ideology don't include the Pentagon/National Security complex in something called "government," which obscures the fact that it is more the composition of government than its total size that is at stake. Stevenson says that it is the aging of the baby boomers and "costs of maintaining Medicare and Social Security [that] have put the two pillars of the social welfare system on the table for re-examination." He never allows the possibility that they are back on the table by choice of the dominant power interests, which also causes the military budget and tax increases for the elite and corporations not to be on the table. The former are "entitlements," hence eligible; the latter are elite-approved, hence out of Stevenson's sight. He fails to mention that the Ryan plan does nothing to impede rising medical costs, but does eventually shift medical costs from the government and insurance companies to aging medical users, which is why Dean Baker contends that the Ryan plan is basically not hostile to big government but is about shifting costs and benefits ("The Battle Is Over Money, Not Philosophy," Truthout, April 14, 2011). Stevenson bypasses the jobs issue, in accord with the establishment consensus—he tells us that the tepid nature of the recovery "following big stimulus packages" has called into question "Keynesianism as the default policy option for government." But, even at the time they were enacted, critics like Baker and Krugman were calling the stimulus packages clearly inadequate. The "markets" and "deregulation" failed even more clearly, as did the Bush tax cuts, but Stevenson doesn't mention these as flawed default options or allow a debate on these issues. On tax increases, Stevenson quotes William Galston (a former Clinton administration official, now at Brookings, who is to Stevenson's "left") that the Democrats "can no longer say with a straight face that raising taxes on the wealthy is going to enable them to pay over the next generation for the programs they cherish." But can anybody say with a straight face that they couldn't contribute a great deal? And increased corporate taxes and closing tax loopholes? And who has claimed that relying on them alone would solve all problems? That exhausts Stevenson's "debate" on taxes. The mainstream media follow the party line adhered to by Milbank and Stevenson, with the entitlements of the majority subjected to biased debate and attack, elite privileges kept out of range and confined to "unserious" People's Budgets. There are exceptions, like Paul Krugman, but they are rare. Interestingly, in his useful "The Intimidated Fed" (April 30, 2011), Krugman points out that, although inflation is low and is predicted by Fed analysts to stay low, whereas unemployment is high and expected to come down painfully slowly, Fed Chair Ben Bernanke has no plan for further action to reduce unemployment. Krugman explains this as a result of intimidation by inflation-mongers who keep seeing runaway inflation as imminent. He doesn't mention that this policy, and the high unemployment and weak economy associated with it, are helpful in maintaining a sizable reserve army of unemployed labor, keeping pressure on government budgets, and making the attack on public unions and public services more plausible. They are instruments of the counterrevolution and class warfare.